So many little faces. . .
Garden and wall of the Old Curiosity Shop, Ballarat, Australia, ca. 1895, via Museum Victoria. 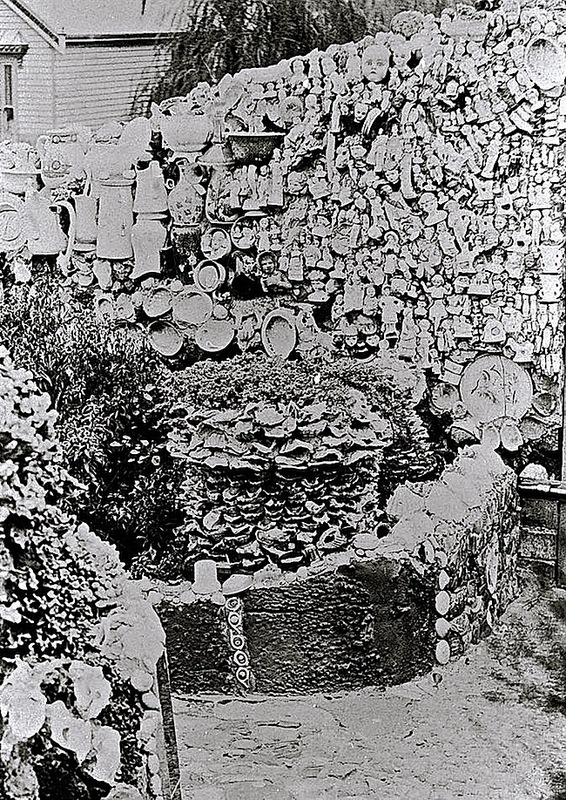 “Little girls would bring their broken dolls to Mr Warwick for him to mortar into this wall,” according to the museum’s online catalogue. The photo (and the one below) were contributed by Mrs Wilma Mahoney to The Biggest Family Album of Australia project. 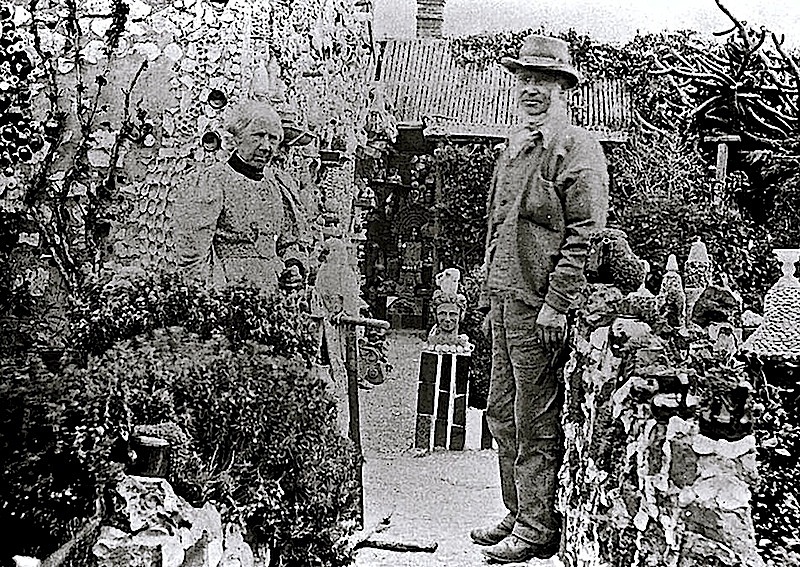 Mr. and Mrs. Warwick in the garden of their Old Curiosity Shop, ca. 1895. I found it a few months ago and saved it for Halloween. I’m wondering whether Mr. Warwick meant it to be sweet or scary.